In this New Product Release we highlights the following products: Shure’s KSM8 Dualdyne cardioid dynamic vocal mic, McDSP’s 6050 Ultimate Channel Strip, Thermionic Culture’s The Swift, Mackie’s DC16 control surface, Mojave Audio’s MA-50 large-diaphragm transformerless condenser mic, Symphony I/O Mk II, Subwoofer Pros. The Darkroom recording studio has undergone a refit at the Willesden, north-west London facility with HHB providing engineer and owner Anthony Long with equipment that included a Merging Horus networked interface. 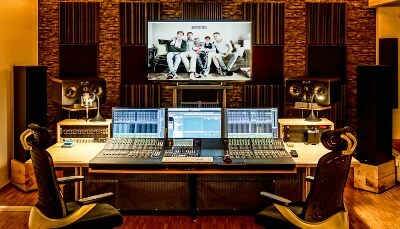 Cologne-based audio post studio ArtEffect Audioproduktion recently bought a Yamaha Nuage postproduction system and owner Peter Schröder is so pleased with it that a second one is likely to follow soon. Avid and Focusrite are in discussions on collaborations for interfaces with the results expected to be announced in the Spring.